A University of California Board of Regents special committee will nominate UC Santa Barbara alumnus Paul Monge-Rodriguez as the 2017-2018 Student Regent in July. If confirmed by the UC Board of Regents, Monge-Rodriguez will be the 43rd student regent to represent the voices of over 245,000 students in the UC system, including undergraduate, graduate and professional students. He shared the news via Facebook on Wednesday, May 18, and was selected from a pool of 49 candidates from all 10 campuses. Monge-Rodriguez is currently a doctoral candidate at UC Berkeley and serves as the systemwide graduate representative on the UC Board of Regents’ Committee on Planning and Budget. The oldest of eight siblings and the first in his family to attend college, Monge-Rodriguez cites being a product of the UC system and a commitment to improving higher education as two big factors in pursuing student regency. Previously, he attended Harvard University for a master’s in public policy and has served in various legislative positions in San Francisco. 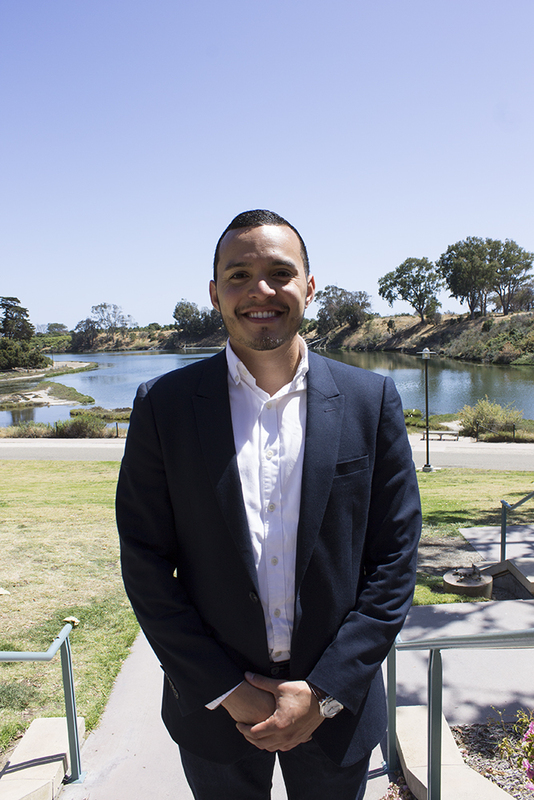 While at UCSB, Monge-Rodriguez served as the 2010-2011 Associated Students President, establishing the A.S. Food Bank in response to issues of food insecurity on campus. The only public food pantries on campuses across the system were at UC Davis and UCLA. In an interview with The Bottom Line, Monge-Rodriguez stated that student housing would be one of his major focuses. He said cities and UCs need to work in partnership to explore avenues of aid such as rent control provisions and freeing up bond measures to build affordable housing. Monge-Rodriguez, along with UCSB alumni and former A.S. executives Yoel Haile and Nadim Houssain, made an appearance on campus on Sunday at the Office of the Student Advocate end-of-year banquet. During the round table discussion, the trio answered questions about their terms in office and what it meant to be a student advocate. Monge-Rodriguez said that UC President Janet Napolitano’s administration has been much more responsive than previous administrations to student input, especially from undocumented students and communities of color. The student regent serves as a voting member on the 26-person UC Board of Regents, standing as one of two student voices. As regent-designate a student is not allowed to vote but can offer student perspectives. UCSB has only ever produced three student regents (Monge-Rodriguez would be a student regent from UC Berkeley). UCLA and UC Berkeley have produced the most student regents with 12 each, excluding Monge-Rodriguez. UCs Merced and Santa Cruz have never had a student regent. For Monge-Rodriguez, the long-term goal is to work in public office. However, in the years that he would serve as regent-designate (shadowing incoming 2016-2017 UC Student Regent Marcela Ramirez) and student regent, he would focus on issues of affordability and insecurity outside of tuition costs.